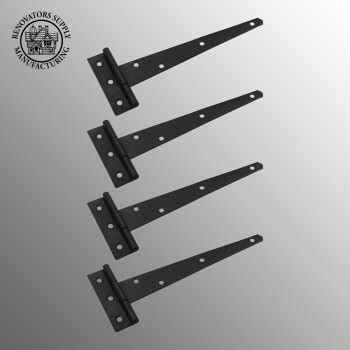 This set of 4 T-Strap hinges from Renovator’s Supply is the perfect Old Colonial detail for your doors or cabinets. They fight rust with our proprietary RSF finish for a long, smooth-opening life. 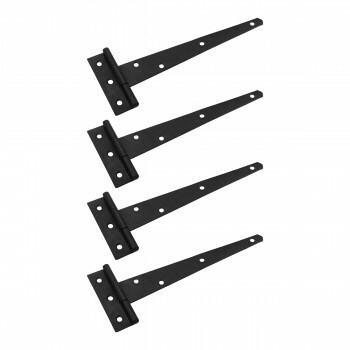 - 4 T-Strap hinges with antique style slotted pyramid head screws.